Miscellaneous Fields are global. (All rosters will have the same Miscellaneous Fields.) These fields are in addition to standard fields which include name, contact information, birthday, group dues, etc..
Click on the "Profile & Settings" link. Go to the middle section for Miscellaneous Fields, where you can title the fields anything you wish. For example, see how the label - "Flight" (instead of 'Misc. Text1') - shows up on the player information form (for John Baker) below. 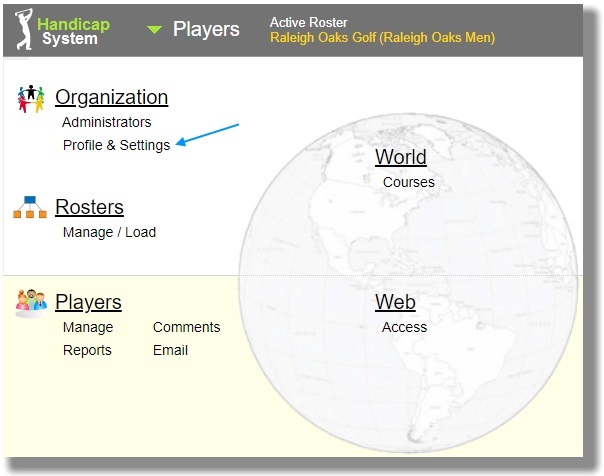 To enter data in any of these fields, click on a golfer name link to view the Golfer Information form and scroll, if necessary, down to the Miscellaneous Fields section. 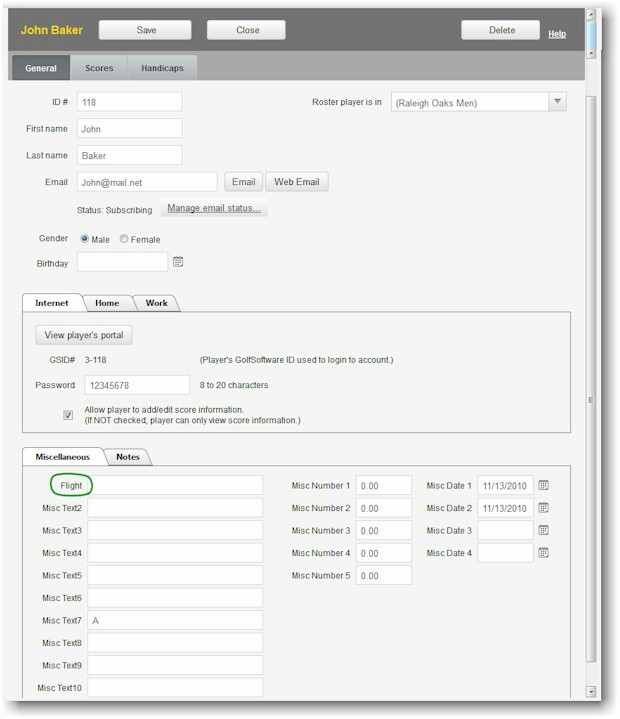 These Miscellaneous Fields can be displayed on any custom view or custom report.